Priscilla is our latest volunteer and is now a regular visitor on site. 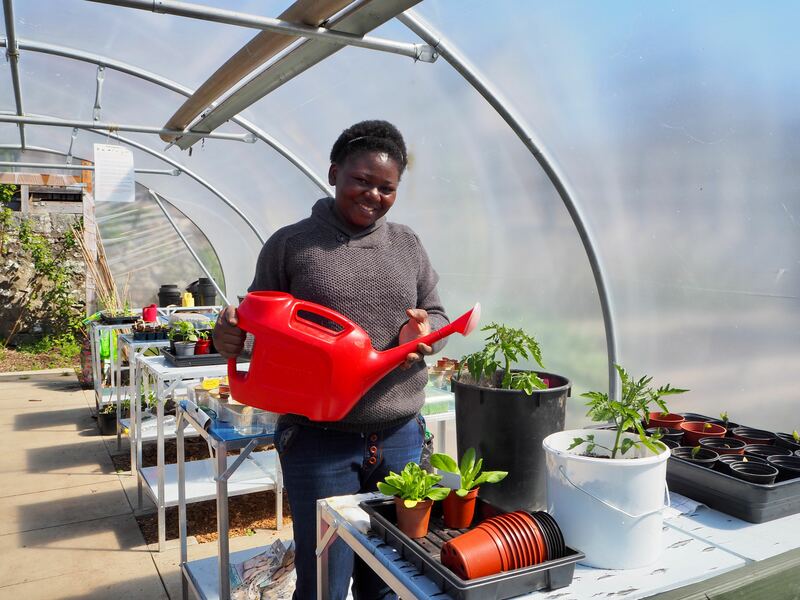 Priscilla is from Nigeria and holds a Masters Degree in botany: she was keen to volunteer to gain hands on experience of growing. You may have seen Priscilla and Ella, her one-year-old, helping out around the site. Priscilla is a regular on Saturday mornings and comes along other days as she can manage. Be sure to say hello next time you see her. Hi Priscilla, welcome to garthdee allotment, your plants in the poly tunnel are looking very healthy!! Look forward to meeting you sometime, Susan. Hello Susan, thank you and see you soon.